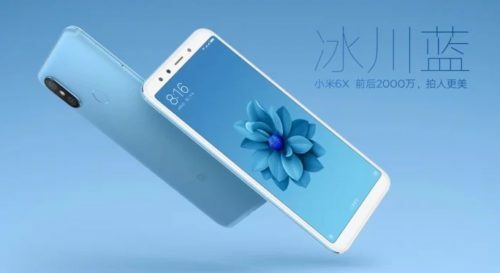 Xiaomi finally introduced the Xiaomi Mi 6X, the successor of the Xiaomi Mi 5X. The previous rumors have come true. Fortunately, it is equipped with the powerful Snapdragon 660 processor! But that’s not the only special feature of the powerful mid-range smartphone. With the Xiaomi Mi 5X, Xiaomi has released a stylish mid-range smartphone for the Chinese market. Much more interesting for us was the Xiaomi Mi A1, both devices are identical in construction, but the Mi A1 is equipped with the Android One operating system. To date, it is the only Xiaomi smartphone without Xiaomi’s own MIUI operating system. 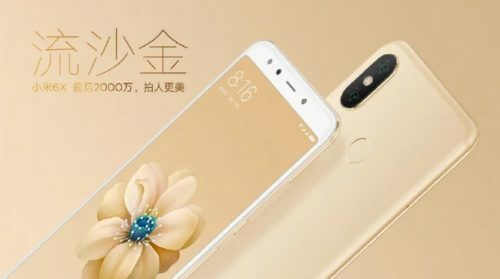 Now the Xiaomi Mi 6X has been officially introduced; will the Mi A2 follow soon? The Xiaomi Mi 6X strongly reminds us of the new generation of the Xiaomi Redmi series, but especially of the Xiaomi Redmi Note 5. This has an aspect ratio of 18:9 and a resolution of 1080 x 2160 pixels. One difference is that the 6X is even thinner. The thickness is only 7.3 mm, which (unfortunately) was at the expense of the 3.5 mm jack connection. It is not uncommon for Xiaomi’s flagship smartphones to do without this connection. The back is also reminiscent of the note 5; the vertically arranged dual camera immediately catches your eye. Xiaomi is also generous when it comes to the colour possibilities of the Mi 6X. 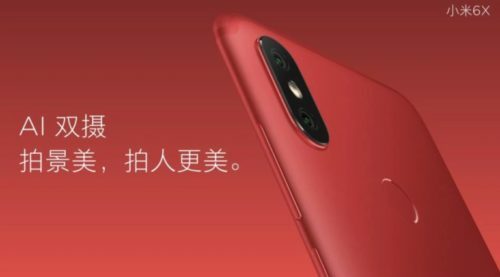 The smartphone has already shown a first leak in red; the Mi A1 is also available in red. 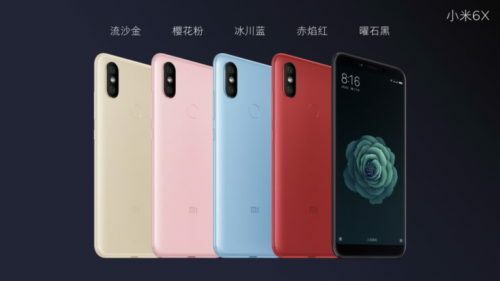 There are also other colour versions of the Xiaomi Mi 6X: Cherry Pink, Sand Gold, Glacier Blue and Black. There should be something for everyone! The fingerprint sensor is located at the usual position on the back. So many colour variations we are happy about, especially the red design we already know from the Xiaomi Mi A1. Already the first leak of the TENAA authority gave information about the size and weight of the smartphone. It measures 158.88 × 75.54 × 7.3 mm and weighs 166 g. This makes it slightly larger than its predecessor, with the same weight. In advance, there was much speculation about which processor Xiaomi would choose. While the Redmi Note 5 contains the new Snapdragon 636, the 6X contains an already known processor, which has rarely been used before. 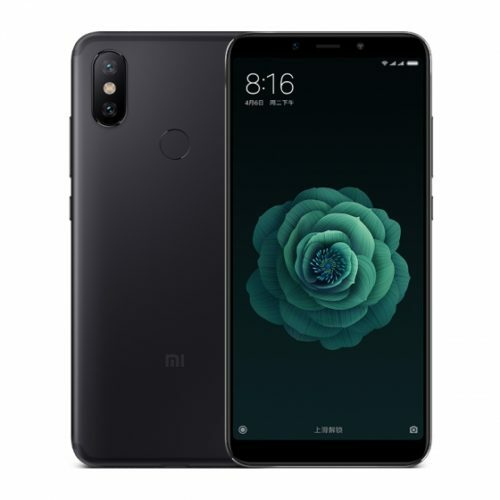 The Xiaomi Mi 6X uses the Snapdragon 660 processor. This already finds its place in the Xiaomi Mi Note 3 and has convinced us there very much. It consists of two clusters. Four Kryo 260 cores offer a clock frequency of 2.2 GHz and the other four a clock frequency of 1.8 GHz. This processor also supports artificial intelligence, which comes in handy as Xiaomi uses a powerful dual camera. The manufacturer also provides sufficient memory. In total there are 3 memory configurations: 4 GB RAM and 64 GB internal memory, 6 GB RAM and 64 GB internal memory as well as 6 GB RAM and 128 GB internal memory. A somewhat budget-oriented 3/32 GB combination is not planned. However, a previously published information was not quite correct. The integrated battery has a capacity of 3,010 mAh and is therefore slightly larger than previously assumed. This is almost as big as its predecessor, but the battery supports the Quick Charge 3.0 standard thanks to the Qualcomm processor. This makes a charging of 50% possible within half an hour! The main camera on the back of the Mi 6X has a 12/20 megapixel combo. Behind the upper, primary lens is the Sony IMX486 sensor with 12 megapixels. With the ƒ/1.75 aperture, it is ideal for photos, especially in good lighting conditions. The secondary sensor is the 20 megapixel Sony IMX376 sensor, also with a ƒ/1.75 aperture for low-light images. The large 20 megapixel sensor also finds its place in the front camera and is also used for face unlocking. Interesting is also the AI support by the Snapdragon processor. This is mainly used for scene recognition and can adjust the camera settings accordingly, e.g. skin tones in portrait photos should look better. It also creates a more beautiful bokeh and other effects. The camera can also be used for real-time translation, currently the AI function supports English, French, German, Korean and Indian. 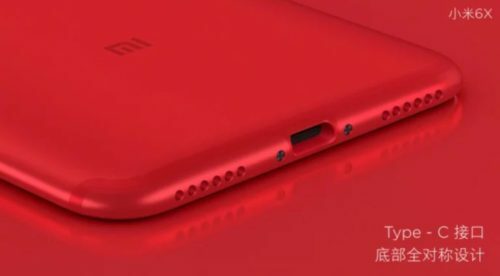 As already mentioned above, the Xiaomi Mi 6X does without the popular headphone jack. Experience has shown, however, that an adapter is included again, which means that the USB Type C connector can also be used for headphones. A cool feature that Xiaomi is known for is the integrated infrared interface on top of the Xiaomi Mi 6X. The Xiaomi Mi 6X is equipped with Android 8.1, above that lies the MIUI 9.5 interface. This is also equipped with the Xiao AI language assistant, as is the case with the Xiaomi Mi Mix 2S. 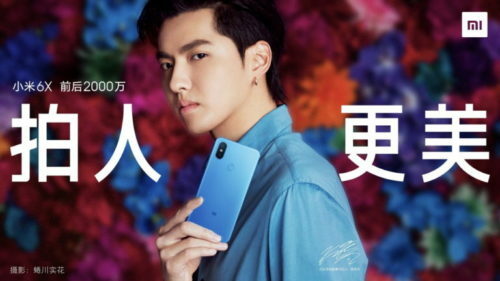 Price & availability – and when is the Xiaomi Mi A2 coming? The Xiaomi Mi 6X was introduced today and sounds more than promising. It will be available from April 27, but only in the Xiaomi stores and on youpin.mi.com for the time being. At the moment we can’t tell when it will be available at GearBest & Co. The cheapest version with 4/64 GB costs 1,500 Yuan, so about 240 Dollar, the 6/64 GB version is about 40 Dollar more expensive. With 128 GB of memory, you end up with about 1.999 yuan, the equivalent of about 320 dollars. The battery capacity is a bit small, but the processor is really very good and the camera also sounds very good. The same goes for the Quick Charge option and the integration of the intelligent language assistant. If the Xiaomi Mi 6X will soon be available as Mi A2 with Android One operating system, we would probably have an unbeatable price-performance smartphone with strong hardware and stock Android! My special interests are smartphones from China and I am always keen to discover new smartphone accessories like smartwatches and headphones. Hopefully Xiaomi will use the Snapdragon 660! It’s a great CPU and works extremely well in the Xiaomi Mi Note 3. And if they release it with Android One, i will totally buy it! How much and what is the the price on 200 units? @Patrick O’Donnell: i hope so too because im a monster collector and i dont have a dragon yet…lol. I conceive you have observed some very interesting points, thanks for the post.